Scroll down for our review and exclusive cocktail recipe that you won’t want to miss. Dark, plum color. Bold aromas of candied vanilla, black pepper, ginger, and heavily steeped tea with a moderately bittersweet medium-full body and a smoky tobacco and leather finish. 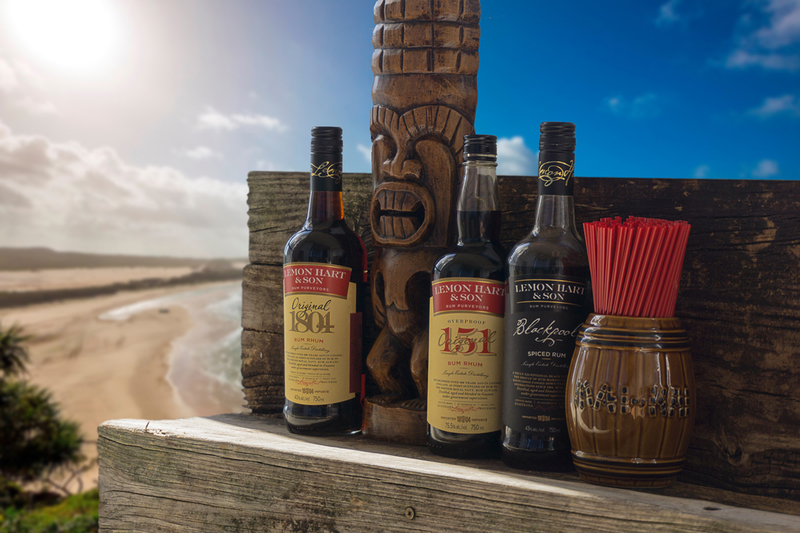 A stunningly complex, British-style black Demerara spiced rum highly suited for mixing Tiki-style concoctions and classic eggnogs, as well as sipping neat as a standalone premium spirit. A truly versatile and unparalleled new breed of spiced rum. 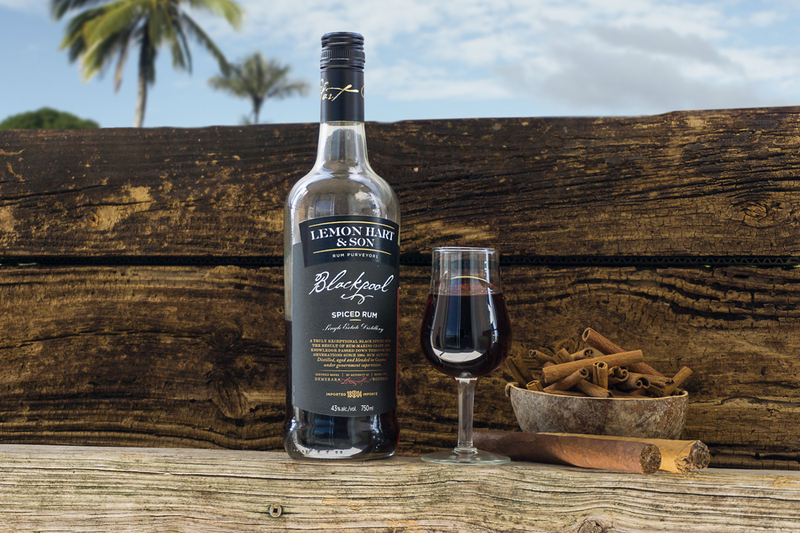 Spiced rum claimed another moral victory this year as Mosaiq, Inc. announced the U.S. arrival of a new British-style spiced rum to its iconic Lemon Hart & Son line extension. 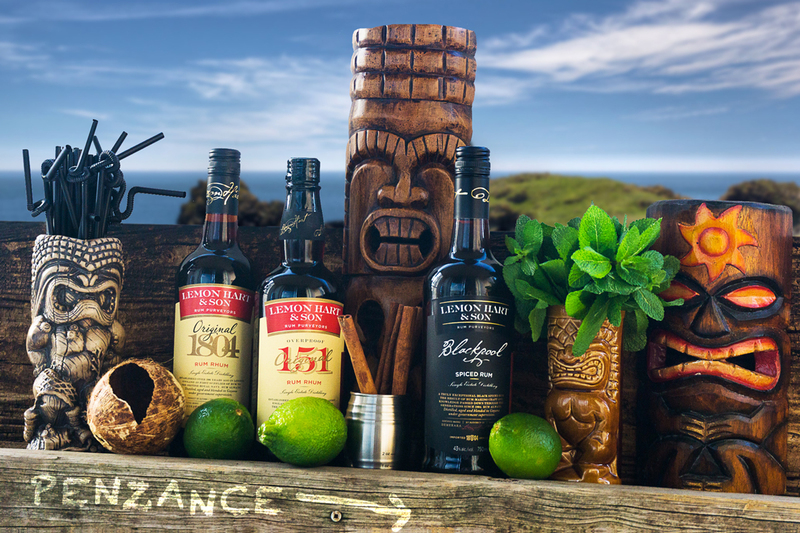 Christened “Blackpool,” the new spiced rum clocks in at 43% ABV and will run alongside it’s Original 1804 (40% ABV) and 151-proof (57.5% ABV) counterparts to form a new Lemon Hart coalition of rums, further expanding the historic brand’s offerings in the premium rum market. Immediately, the great debate between “old formulations” vs. “new formulations” resumed. Lemon Hart’s latest lineup returns the brand to its iconic yellow label from the days of yore. Please know that Lemon Hart & Son rums today are distilled, aged, and blended at a single estate distillery in Guyana’s Demerara region. The brand’s previous owner aged and blended Lemon Hart at their facility in Canada and bottled the final product with a percentage of “other rums” for legal purposes in Canada and allowable in the bottling of rums. Upon acquiring the Lemon Hart brand in 2010, we implemented a ‘Return to Heritage’ initiative which resulted in moving the aging and blending process back to Guyana and delivering a final product that is today comprised of only 100% Demerara rums. As many people may know, Pernod Ricard had released the Lemon Hart series way back in 2000 (as part of the Seagrams deal) and since then, the brand has seen three generations of iterations. Today, under the direction of Mosaiq’s Managing Director Michael Szczepaniuk, the new Lemon Hart line extension has been reestablished with a spectacular new addition to the iconic family, Lemon Hart Blackpool Spiced Rum was recently launched earlier this year in Florida and Texas, with New York and New Jersey soon to follow. There’s no question: in the theatre of rum, Lemon Hart is hotter than the sun. Established in 1804, the Lemon Hart brand has a rich heritage in the global rum category. In the late 18th century, Mr. Lehman (“Lemon”) Hart became the first supplier of rum to the British Royal Navy. In 1804, he moved his business from his small merchants premises in Cornwall, England to the heavily fortified West India Dock, on the Thames in London and soon casks of the finest rums were brought across the high seas from the Caribbean, to be blended into a rare and magnificent product which today, over two centuries later, remains a drink to be savored. In Canada, the Lemon Hart brand has long been the favorite choice of discerning imported dark rum consumers. 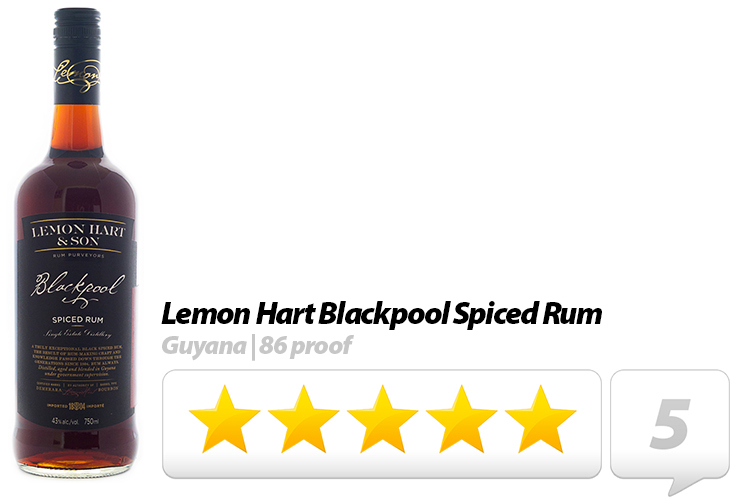 With a greater emphasis on spiciness rather than sweetness, the new Lemon Hart Blackpool Spiced Rum will likely compete with other bold, British-style dark spiced rums, most notably Captain Morgan Black and Kraken’s Black Spiced Rum. Blackpool (which is the subject of this review) was developed exclusively for Mosaiq by famed Lemon Hart blender Michael Booth. Booth, who spent 25 years as a blender at Hiram Walker (and has been involved with the Lemon Hart brand since the early 1980s) has been on watch in the industry since 1977, and is responsible for some the world’s best-known brands: Lamb’s Navy Rum, Canadian Club, Wiser’s whiskies, Kahlua, Malibu, and more recently, Kenny Chesney’s award-winning Blue Chair Bay line of rums. Blackpool represents a new super-premium variety within the spiced rum category clearly distinguishing itself from a whole slew of other ‘fun spiced rums’ which have flooded the market in recent years. With his inimitable blending style, Michael Booth brought the best Demerara overproof rum to the world, now he brings you the finest Demerara spiced rum, made from pure Demerara sugar cane and distilled by Guyanese workers. Tastefully luxurious and effortlessly stylish, Blackpool is characteristically British, with a distinctive dark plum hue, and a slight spicy aroma of ginger and leather. It also has a special smoky edge, a kind of eclectic, tobacco-like sweetness that brings something fresh to the genre: ‘the strongest hint there is of heavily steeped tea,’ says Booth; and that flavor surely emerges, along with toasted oak and the lingering vanilla bean, all with a very smooth delivery. Blackpool blends effortlessly with other spirits or can be enjoyed simply with Cola, Booth’s preferred favorite. Blackpool consists of a 50/50 blend of four unique pot and column still distillates from Guyana. Blackpool is the intimate result of a seamless marriage between four of the finest molasses-based Demerara rums, the affection of Kentucky oak with its touch of smoky tobacco-bourbon, the perfect aroma flush with notes of candied vanilla and black pepper with a heavily steeped tea undertone. The first sip reveals the peppery heat of the alcohol with subtle aromas of vanilla, clove and ginger swirled in. Additional sips reveal notes of cinnamon, nutmeg, and leather. A subtle savory undertone is revealed in the product’s spectacular bittersweet finish, leaving no burn on the throat. Intricate details such as a beautifully crafted jet black label created from vintage parchment paper with copper foil accents and a red side seal give Blackpool an authentic, bold look and feel. According to Booth, Blackpool uses the exact same base as the Original 1804. “Because the 80 proof version is such a heavy Demerara navy-style rum, the challenge was to get a spiced blend that would actually show through that heavy base. This is why we had to come up with a blend of spices that would really reflect the Caribbean but yet come through nicely in the base,” explained Booth. We’re told Blackpool is a unique combination of clove, cinnamon, nutmeg, ginger, black pepper and vanilla bean. The latter being one of the more prevalent components. Incredibly versatile, Blackpool works beautifully in a simple daiquiri or swizzle variation. DDL ages all of Blackpool’s marks separately and individually and then combines them to the right profile (a reference standard) before the precious liquid is then bulk shipped to Montreal where it is bottled by Sarazec at a new facility. Caramel (burnt sugar) is added for color, which is more bitter than sweet. No post-blending is performed on the rum and standard 200 liter ex-bourbon barrels from Kentucky are used. Despite its production origins in the Caribbean, the USA is the largest consumer of rum, spending over 2 billion dollars per year on the precious liquid. Geographically, America totally dominates spiced rum sales, accounting for two-thirds of the market – nearly 10 times the nearest territory, Canada. All Lemon Hart rums are produced at the world-famous Diamond Distillery in Guyana, which sits on the East Bank of the Demerara River. The Diamond Distillery first opened its doors in 1670 with its early production of rum being produced for sailors. Diamond Distillers Limited (DDL) now produces well over 20 million liters of rum a year. They use some for their own label El Dorado Demerara rum (which was created in 1992) which they bottle in a variety of ages. The rest is sold to rum blenders around the world who produce their own rums from the DDL distillate, such as Lemon Hart Demerara rum. 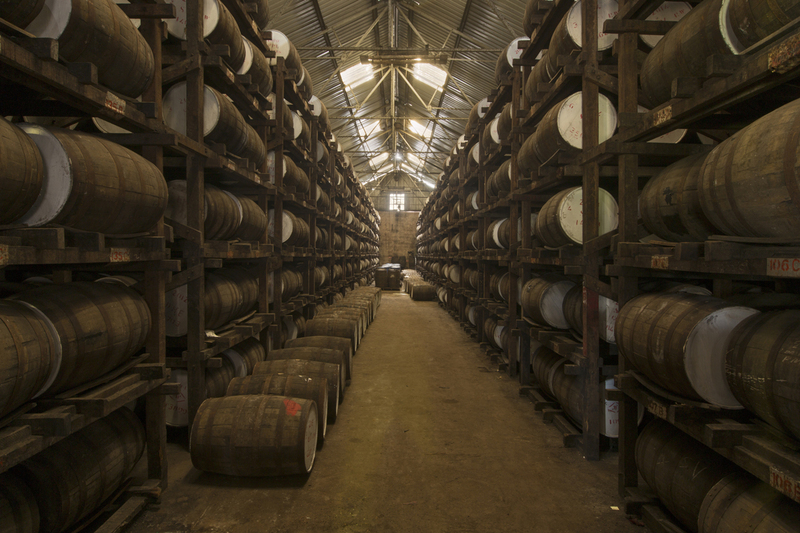 DDL’s historic warehouse holds 50,000 barrels and contains rums as old as 25 years. | © Demerara Distillers, Ltd.
Demerara rum is rich, dark and flavorful, suitable for mixing or drinking straight. The unique component of Lemon Hart’s Blackpool Spiced Rum is the product’s base rum distilled from vintage wooden pot stills, a process that provides a depth of flavor far beyond that of mass-produced rums distilled from modern semi-automatic metal column stills. The two existing wooden pot stills first put in use in the early 1700s, impregnate the rum with esters far beyond those of any other rum. What results is a truly unique, award-winning taste. However, like the other Lemon Hart expressions, most notably, Lemon Hart 151, engineering Blackpool wasn’t as simple as just exchanging warehouses in different countries. The rate of reaction in Guyana versus Canada is dramatically different so special care had to be taken to slow down that rate of reaction. Historically, the rum from British Guyana was sailed in barrels directly to the UK to the sleepy coastal town of Penzance, Cornwall where it was blended and aged in warehouses in the perfectly calibrated climate on the small island. However, in the wake of the Napoleonic Wars of 1803 and the prevalent mood throughout England of fear and uncertainty, Mr. 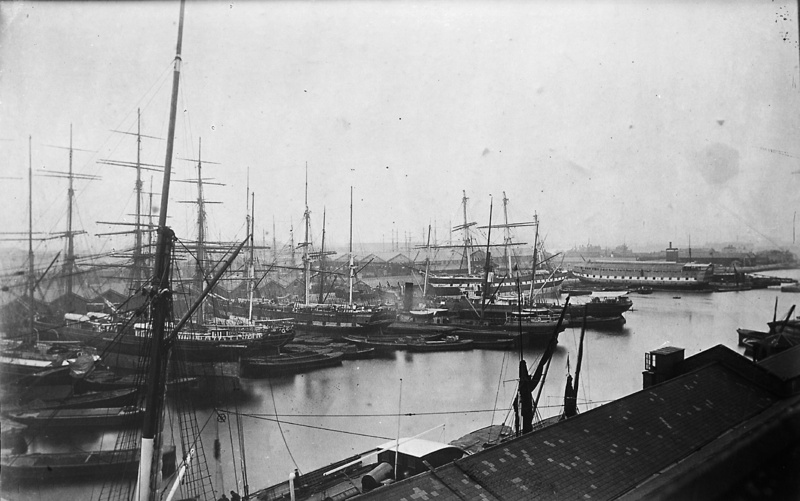 Lemon Hart made the decision to remove his rum stocks from Penzance to the heavily fortified West India Dock, on the Thames in London. By 1804, with his rum stocks well secured at Lemon Hart Rum Company’s newly established facilities at the West India Dock (in the historic Port of London), his signature brand, Lemon Hart Rum was keeping the British Royal Navy well afloat, a substantial supply contract Lemon Hart watchfully tended to from his offices in London and Penzance, where he still maintained residence. Warehouses at the South West India Docks where Lemon Hart rum was aged and blended for up to 6 years (circa 1880s). Lemon Hart rum was originally blended and aged in England where temperatures and climates in the northern hemisphere allowed for a slower rate of reaction. Temperatures in Canadian warehouses closely matched those of the UK, however, now that the brand is wholly distilled, aged, and blended tropically in Guyana, details such as the rate of reaction, local water supply, and making sure all the distillates are combined to the right reference standard, had to be carefully looked at so as to not compromise on the quality of the end product. The choice to move the blending and aging process back to Guyana was a deliberate attempt to establish a new baseline by returning the brand completely to its historic roots and original process. In that sense, Lemon Hart’s current formulations can be said to be more authentic than ever before. The name ‘Blackpool’ takes its cue from a period of refuge Mr. Lemon Hart sought in 1803 in Blackpool, a popular seaside resort on the North West coast of England, where he spent some time to gather his thoughts before he returned home with a renewed sense of purpose and determination to share his passion for rum with the world. Lehman (“Lemon”) Hart’s destiny in the world of rum began close to 50 years before his birth on 31 October 1768 in Penzance, Cornwall, England. 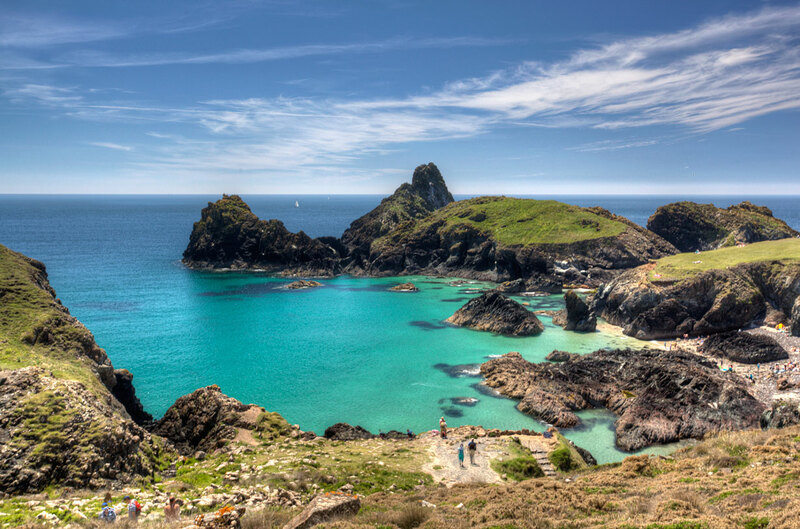 The year was 1720 when his grandfather, Abraham Hart, a young enterprising Jewish merchant who settled in Penzance from Germany, began importing and trading rums sourced from various islands in the Caribbean. 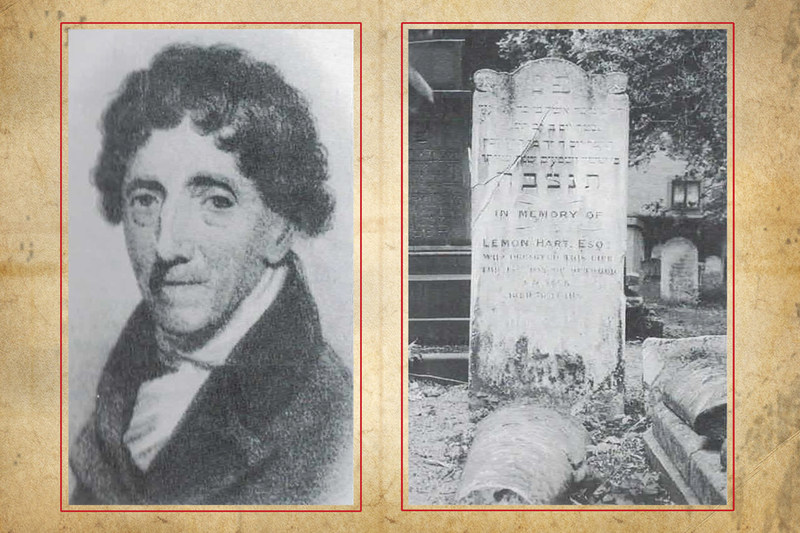 Lemon Hart died on 13 October 1845 at the age of 77. He is buried at the Brady Street Cemetery, Whitechapel, London. 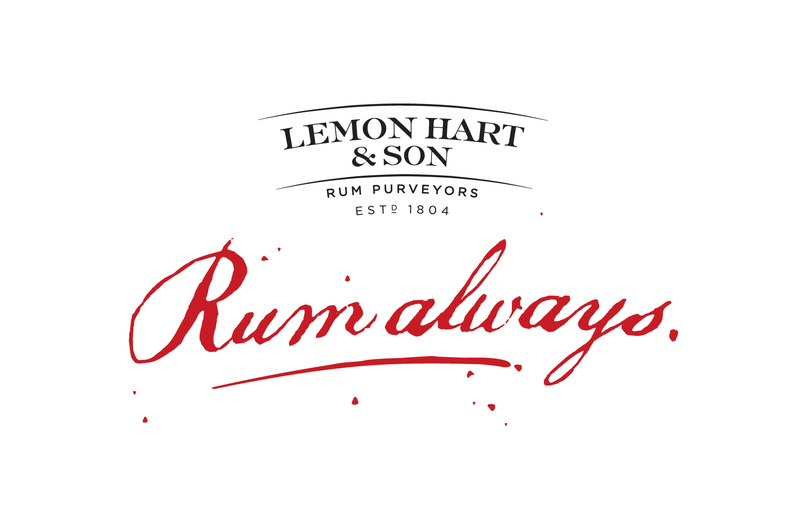 Some 80 years later Lemon Hart would transform the family business by creating a unique blend of the finest rums and subsequently receive the inaugural appointment from the Admiralty as supplier of rum to the British Royal Navy. Lemon Hart was truly an endearing character, with a dynamic personality, adventuresome spirit and buoyant energy. Businessman, philanthropist, community leader and rum authority, Lemon Hart possessed an uncanny ability to generate excitement and rally support for all of his many undertakings. 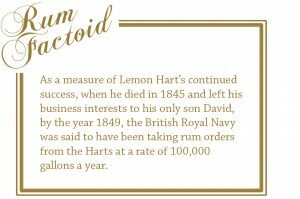 Today, now over two centuries later, his legacy lives on in every bottle of Lemon Hart & Son rum. Penzance in Cornwall, England where Lemon Hart was born and took charge of the family business from his father, E.L. Hart. Lemon Hart & Son rums are the most historically authentic rums available in the market, savored by discerning rum drinkers around the world. Anyone drinking Lemon Hart rum today, drinks to a name with a lineage of over two centuries of established credential and authenticity coupled with a remarkable history of close to three centuries in the world of rums. In the end, we have to give credit to Mosaiq for daring to be different and for paving the way for a new breed of super-premium spiced rum in an ever-evolving marketplace. There are not too many people who appreciate how to get the end result. In short, Blackpool Spiced Rum is a stunningly complex expulsion of flavors sealing Michael Booth’s great conception delivering a flavor and taste beyond all known spiced rum experiences. 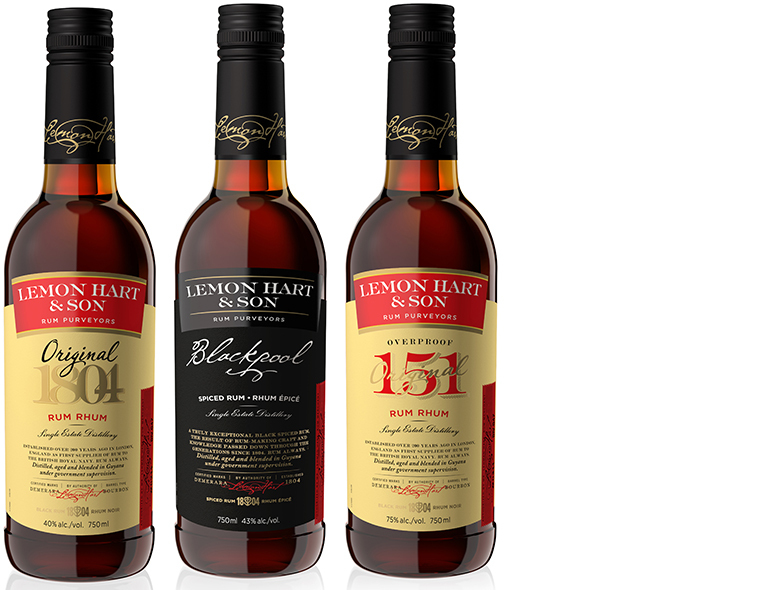 A return to heritage, Lemon Hart & Son rums will stand time for generations to carry forth. Lemon Hart & Son’s reestablishment has clearly demonstrated that every rum has its own nuance. Every distillery has its own history and ingredients that have been carefully selected to bring out and enhance those nuances. And now with Lemon Hart’s aging and blending now taking place in Guyana, the story of rum will continue to be written with taste and distinction. 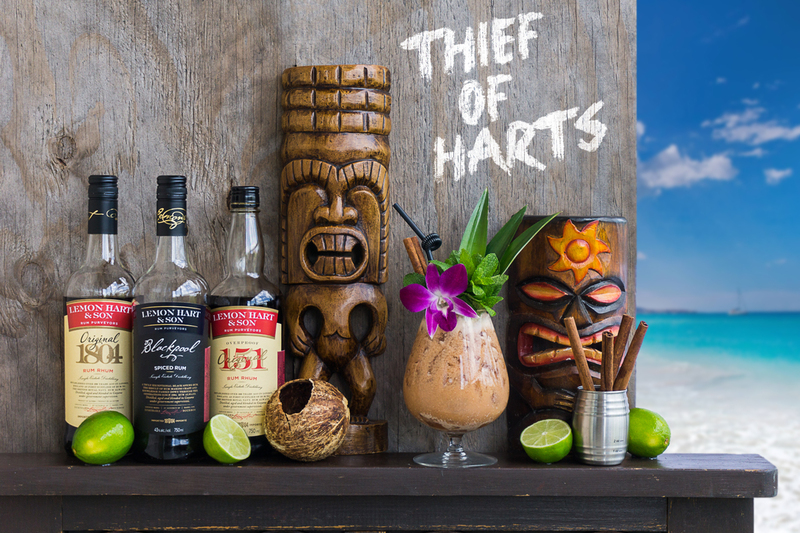 Drunken Tiki’s ‘Thief of Harts’ is a tribute to Michael Booth’s enduring legacy at Lemon Hart & Son. 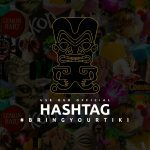 At Drunken Tiki, we’ve been enjoying Lemon Hart Blackpool Spiced Rum in a number of applications. The sign of a good spiced rum? It’s enjoyable to sip straight over a few ice cubes as a standalone spirit, blends seamlessly into mixed drinks, or can be enjoyed simply with Cola. Blackpool trumps all these applications and in the process adds a unique dimension of robustness, the rich molasses and smoky vanilla flavor adding an exotic character that’s all about Tiki. We have found it to be absolutely sublime in a holiday eggnog with the depth of its flavor profile really lending itself to more complex, creamy cocktails, like an updated Pina Colada, a classic Mai Tai, or a complex Swizzle variation. 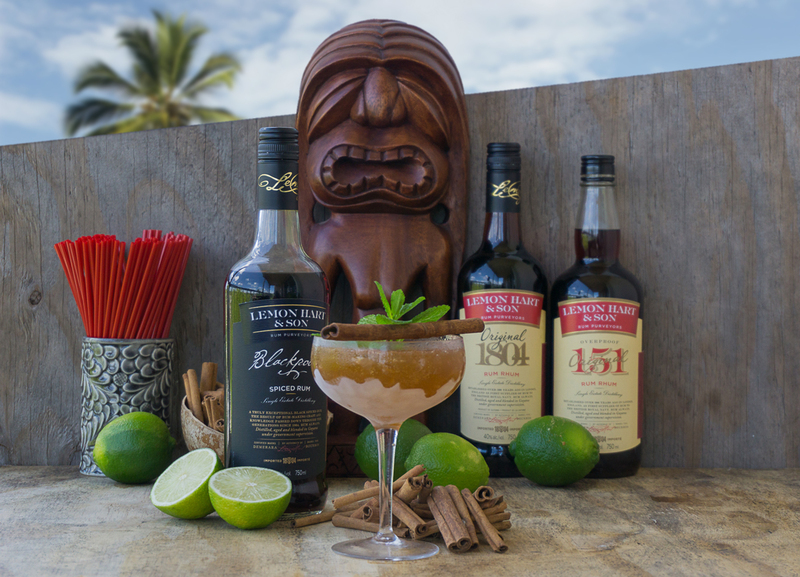 As such, we conducted numerous testing and wanted to create a complimentary drink combining all three of the current Lemon Hart expressions into one Tiki-inspired concoction that would keep evolving and lingering while telling a story. After much tweaking, we have arrived at the perfect recipe – one which we feel compliments both the Lemon Hart & Son lineup and pays tribute to the brand’s legendary master blender Michael Booth. Method: Flash-blend with 1 cup of crushed ice for 3-5 seconds. Add additional ice if needed. 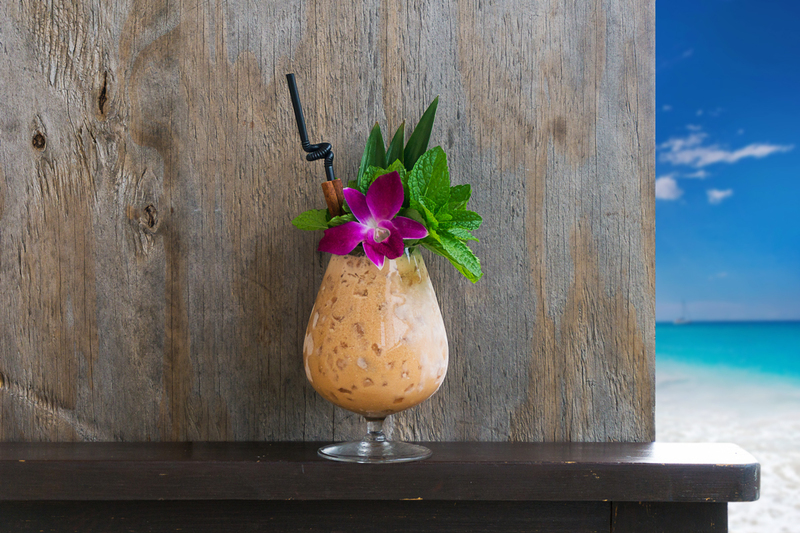 Garnish with multiple fresh mint sprigs, three pineapple leaves, a large cinnamon stick, and a single edible orchid. Pour unstrained into a large brandy snifter. Rich, exotic, and creamy, Thief of Harts brings each of the Lemon Hart & Son Demerara marques together in perfect harmony. 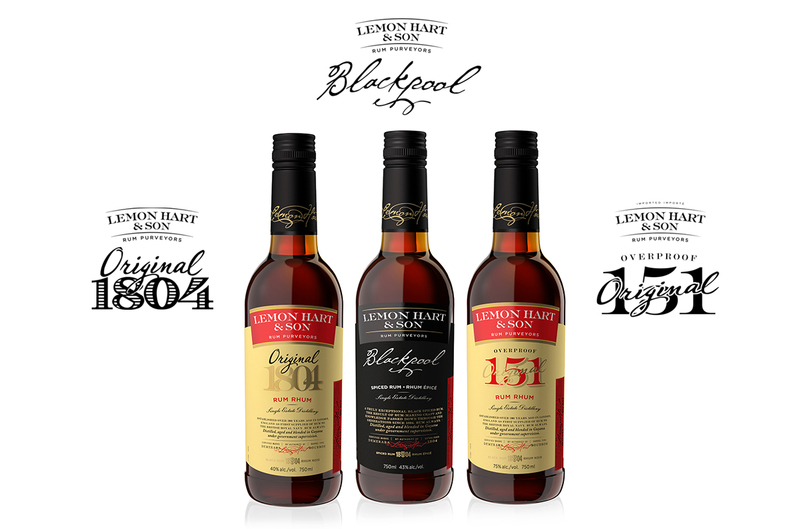 Engineered specifically to showcase Lemon Hart’s Blackpool Spiced Rum with the 1804 Original and 151 blends joining in as supporting characters. The nose has fragrant wafts of smoky molasses and candied vanilla bean. It starts out spicy and rummy before quickly building up to a creamy, smooth middle. The end is almost nutty with light twangs of ginger and burnt molasses spice, accented by a lingering touch of oak and smoke on the finish. NOTE: Try to use Goya® for the guava juice and Coco Lopez® for the cream of coconut. Acceptable substitutes would be Kern’s and Coco Real, respectively. Rose’s grenadine will suffice in this instance due to the trace amount used. 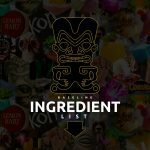 * UPDATE: 06/29/18 – important tweak from RUM BUM (3/4 oz reduction down from 1 oz) to enhance recipe. I reduced the Lopez and guava to 3/4 allowing the rums to surface. I believe you will like this one better. Rum Bum, we tried your suggestion and must say it’s very, very close. The slight tweak does allow the rum to surface in a slightly more pronounced way without compromising the overall balance of the drink. We’ve updated the recipe to reflect this change! Okole Maluna!